It is always fun to see the look on someone’s face the first time they step into The Mill Barn at Walkers Mill Vineyard & Winery. Breathtaking!!! Towering columns of Douglas Fir rise upward to support a 40-foot roof overhead, crowned in the center with a seven-foot crystal chandelier. The vaulted ceilings, spacious great room, polished concrete floor and the interior apportioned with pine, aspen, cedar and iron encompass a structure almost churchlike. 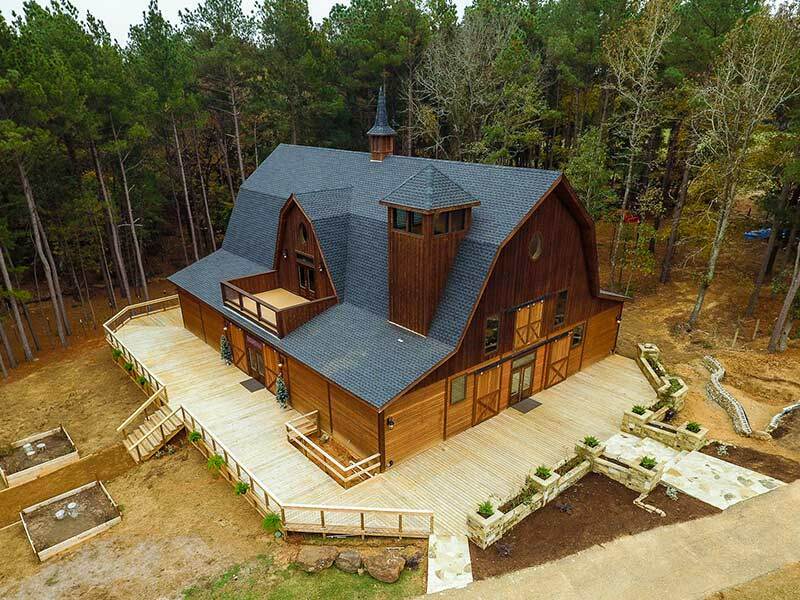 The 6,336-square-foot barn can comfortably seat up to 350 people inside, with heating and air conditioning, ample space for dancing and other activities, plus a sprawling wraparound deck to accommodate even more guests. The barn also offers full kitchen, restrooms handicapped accessible, private bride's and groom's suite, parking. Care has been taken at every point throughout construction to avoid overusing a specific decorating style or theme. Walkers Mill Vineyard & Winery provides the country elegance for events, large or small, that is sure to wow even the pickiest of guests. The rustic, yet refine ambiance allows a design flexibility for groups to customize the space and make it their own, accommodating a wide variety os tastes, formal and elegant, Tuscan, or down home country. It all depends on the occasion. Walkers Mill Vineyard & Winery provides the country elegance for events, large or small, that is sure to wow even the pickiest of guests. The rustic, yet refine ambiance allows a design flexibility for groups to customize the space and make it their own, accommodating a wide variety os tastes. The Mill Barn’s first floor construction is carefully finished with pine, fir, aspen, cedar and iron which provides a warm and rustic feel. At first glance, it is clear that this is not any building with only a finished interior, but rather a beautifully crafted showplace both inside and out. The trees at Walkers Mill are seen as an integral part of the property and great care is taken to preserve their natural beauty. The vineyard has been carefully planned to avoid unnecessary harm to the surrounding forest. One special place, Promise Oak, proudly sits in the center of the vineyard grounds and is the perfect natural backdrop for an outdoor wedding or celebration. With the exception of the muscadines, the 150 year old red oak is a family favorite with a character all its own. The first wedding under its boughs was the Strahan’s oldest daughter. 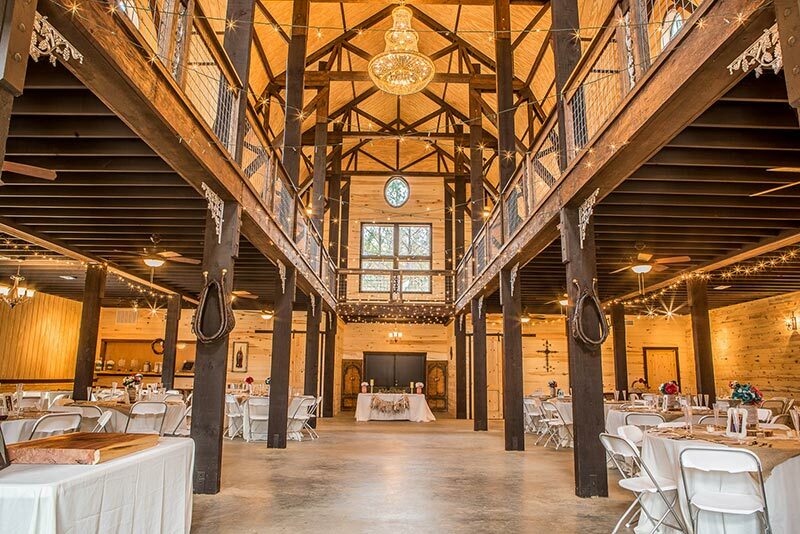 The Mill Barn can comfortably seat up to 350 people inside, a massive outside deck to accommodate even more guests, a full kitchen, private bridal suite, and separate groom's suite. We offer the perfect location for your next gathering or celebration, large or small. When exploring the forest surrounding Walkers Mill Vineyard & Winery, a vast number of muscadine vines can be found growing wild along the forest floor and in the trees. Wild muscadines have both male and female plants, so not all vines in the wild produce fruit. For every ten vines found during the fruiting season, only one or two will actually have fruit. The newer cultivated varieties being planted at Walkers Mill were carefully selected to provide for both fresh-picking and future wine production. The more commonly known grape varieties which descend from European stock have significant issues being grown in this part of the state. The owners knew that, if muscadines were already growing wild on the surrounding land, the newer developed muscadine varieties would thrive here as well. Native to the southeastern part of the United States, the muscadine grape is known to thrive in harsh environments and to do well in the heat seen here in the South. The grapes grow in only twelve states and East Texas represents the muscadine grape’s far western natural range. For many years research results have proclaimed the benefits of red grapes and wine. Research has revealed that muscadines take these health benefits to a whole new level. Grape skin polyphenols like resveratrol, ellagic acid and quercetin are present in high concentrations in muscadines. Muscadine seeds also have high levels of the antioxidant catechin found in green tea. Recent research has revealed evidence suggesting that some chemicals found in muscadines have an effect against cancer mechanisms. Many people in the southern United States can remember tasting their first fresh muscadine. The deep grape flavor is unique with more complexity than regular table grapes. The muscadine is, in fact, a very versatile fruit which lends itself well to making fresh juice, wine, jellies and jams as well as a number of other culinary uses. With fruit available only during a brief part of the year, August and September in our region, fruiting season is a busy time here at Walkers Mill.